I really enjoyed The Lola Quartet. Not as much as Station Eleven — a novel I loved when I first read it, and then to my surprise grew to love even more with time — but enough that I’m still thinking about it weeks after I finished it. 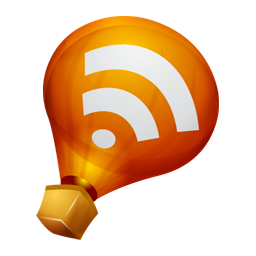 However, I’m having trouble verbalising what it was that I liked so much about it — which, after eight years of consistently blogging about my reading, isn’t something that happens very often anymore. I think it might be because my favourite thing about this novel was the feeling that it conveyed. The writing, which is gorgeous, sets a very distinctive emotional tone that hit me right where it hurts. It captures something truthful about my experience of being a person alive in today’s world even though the character’s lives are nothing like my own — which is, after all, part of the power of fiction. 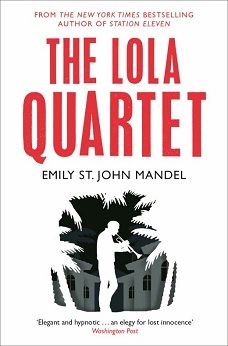 The Lola Quartet is a contemporary novel that borrows elements of noir mystery. It follows the interwoven lives of four twenty-somethings, Jack, Daniel, Sasha and Gavin, who ten years previously had belonged to a high school jazz band. There’s also Amy, Sasha’s sister and Gavin’s girlfriend, who disappeared just around the time the members of the quartet graduated from high school, and whose perspective adds another layer to the story. Gavin is determined to find out what happened back then; as he starts to investigate, the story begins to come together piece by piece. The Lola Quartet is set during the aftermath of the 2008 banking crisis, in a world where foreclosures and job losses have become everyday occurrences. It’s a novel full of crushed dreams, disillusioned characters and men I didn’t particularly like; yet even though it’s a dark, sad book reading it was like a balm. I could not put it down. There were sections that read a bit like a closer look at the “functioning sleepwalking” Clark describes in Station Eleven. Neither novel tried to pretend there’s an easy solution, but sometimes the recognition is enough. The second round of layoffs came without fanfare. The first time, Julie told him, when he’d been in Florida, there’d been an anguish speech in the middle of the newsroom by the executive editor, who’d stood on a chair to be better seen but hadn’t been able to make eye contact with anyone. Two weeks later the second round was well under way before anyone realised what was happening. The executive editor’s assistant called the victims one at a time and asked them to drop by the office, and eleven people didn’t come to work the next day. The executive editor sent out a regretful memorandum that began with the words “As you may have noticed…” and included the phrases “online content” and “a changing media landscape”. The word “rightsizing” was used. There was a regrettable possibility, the memo concluded, of future cuts. Why did she argue with him? Binny wondered. Laugh at him? Think it was a good idea to leave him on the top shelf of the airing cupboard? The light from the landing shone dimly in at the doorway. It made smooth feathers of his hair and curved shadows of his eyelashes. He was enchanting. Perfect. How odd that she had never realised before. Hilary McKay never fails to give me feelings about siblings. Like Jenny, I could have done with more Clem in this novel, but the moments we did get were absolutely wonderful. Binny in Secret is a sequel to Binny for Short, one of my favourite novels of 2013. The Cornwallis family is still settling in in their new town; after an eventful summer, twelve-year-old Binny and her brother James are getting ready for their first day at their new schools. But while things go smoothly for James, who comes home with a newfound excitement about homework, Binny has a lot more trouble. When a sudden storm damages the roof of their new home, the family has to move temporarily. However, Binny’s hopes that this will mean no school for a nice long while are soon dashed. Unfortunately all it means is that she’s closer than ever to her new school nemesis, a girl she might have more in common with than she realises. 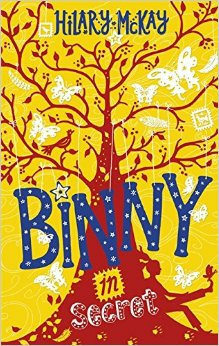 In Binny in Secret, McKay makes very effective use of her trademark combination of humour and emotional depth. She also tries something new by combining Binny’s contemporary storyline with shorter sections set a hundred years before, when three other children spent their summers at the house where Binny is now living. These sections are wonderful, and they lead to an ending that manages to be very moving without ever becoming sentimental or clichéd. The anniversary of WW1 has led to an understandable proliferation of stories about this historical period, and although it’s one I’m interested in it can be easy, after a while, to feel like most stories are treading the same terrain. So it means something to say that McKay’s WW1 narrative didn’t make me feel that way. It was about our relationship with historical narratives as much as anything else, and as with everything she writes it was both fresh and humane. Binny knew nothing of the countryside. Except for the last few weeks, she had lived all her life on city streets. The rabbits were an astonishment to her. Their numbers. Their rocking-horse hops and sudden quivering pauses. The cheerful bounce of their white flag tails. She forgot about Gertie, and the horrible day at school, and watched, enchanted. How lucky that just when she needed it, she had found a private world. ‘I’ll show you how it is,’ said Peter and gave her the globe to hold, and found a table lamp to be the sun. He was a good teacher. Very soon Clarry understood the coldness of the Antarctic, and could see that it would not have been the shock to Captain Scott that she had feared. She also grasped, as a sort of added bonus, that the universe did not have a top and a bottom and that therefore, whatever the problems of the inhabitants of planet earth, upside down-ness was not amongst them, wherever they might live. At the moment when these surprising facts became clear forever, Peter hugged her. Afterwards, when Clarry remembered it, it seemed to her that there was no end to the laughter of that day. For the time that it lasted, there was no growing up and no grown away from, no leaving and no left behind, no future and no past. It was perfect sunlit present. I can’t urge you enough to read Hilary McKay. If you don’t believe me, then listen to Jenny. I fell in love with the opening chapter of this novel. The year is 1969, and at St Libby’s boarding school for girls Marnie Fitzpatrick is speaking with her teacher, Miss Julie Crew, about her perfect maths score. This chapter gave me a glimpse of everything I so adored about Eva Rice’s previous two novels: they’re stories that, first and foremost, acknowledge the fact that women develop significant emotional ties with each other. As Marnie expresses her admiration for Miss Crew and Miss Crew encourages her student to pursue her talents, we watch an important moment of support between women, and we’re reminded that intense, life-changing feelings and relationships are not circumscribed to romance. There were other moments like that in Love Notes for Freddie. For example, I loved the scenes where Rice reclaimed her characters’ right to experience and act on their desire, much in the same way she did in The Lost Art of Keeping Secrets and The Misinterpretation of Tara Jupp. Also, Love Notes for Freddie alternates between Marnie and Miss Crew’s perspectives, and I enjoyed the fact that their creative lives (be it with Miss Crew’s dancing or Marnie’s maths talent) were central to their narratives. Both go through some tumultuous times, but finding their way back to what they excel at in whatever way they can is essential to these characters. I’m sorry to say, though, that in most other ways Love Notes for Freddie really didn’t live up to my previous experiences with Rice’s fiction. First of all, I really wish Rachel Porter, Marnie’s classmate at St Libby’s, had been in the story more. She was a wonderful character, and the dynamics between her and Marnie in their early scenes together were yet another example of Rice being excellent at showing how girls can have an enormous impact in each other’s lives. Unfortunately (spoiler ahoy), Rachel ends up becoming a character whose accident and subsequent disability are all about enabling the protagonists to learn Important Lessons about themselves. 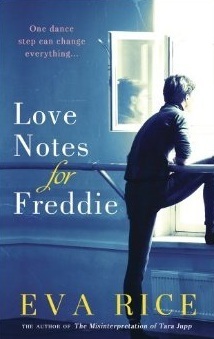 I suspect that Love Notes for Freddie would have been a much stronger novel if Rachel’s perspective had also been included, and if we had been allowed to see her experiences in terms of how they affect her rather than just the people around her. Secondly, the two end-game love interests had a Nice Guy vibe to them that made me uncomfortable; lastly and worst of all, I found Miss Crewe’s epilogue both troubling and disappointing (more spoilers): it suggests a link between infertility and emotional hang-ups by allowing Julie Crewe, who had become infertile after an accident in her youth, to miraculously get pregnant now that she’s happy and fulfilled and has “let go of the past”. There’s something very ugly about using infertility as a symbol for emotional upheaval: in a cultural landscape filled with narratives that subtly or not so subtly victim-blame women who want children but can’t have them for whatever reasons, we really don’t need yet another one. Oh well — fingers crossed that I have better luck with Rice’s next novel. She’s still a favourite writer and I look forward to whatever she does next. The Binny books sound right up my alley. There is something about sibling relationships that isn't always captured in books, but that quote made me think of my own brother! Thanks for the recommendation. Read Hilary McKay! She's the best at siblings - especially in the Casson family books, though these are great too. Infertility because of emotional hangups? Yikes. I really need to give Mandel another chance. I think the hype got to me and kept me from truly enjoying her. I know - it doesn't quite say that and I worry I read it ungenerously, but at the same time, the subtle implication is troubling enough when there's already so much judgement out there around women and childbearing. I think Mandel is an absolutely amazing writer. Do try her again! Nnnnnng I dunno, I wasn't in love with The Lola Quartet, but I also admit that I didn't finish it. The other Mandel book I quite liked, besides Station Eleven, was The Singer's Gun. It was neat! I loved the structure! Ooooh, I think I'll read The Singer's Gun next, then. And I don't know what it was about The Lola Quartet, except that there's something about her writing and tone that really, really gets to me. The butterflies! I wanted to hug Clarry so badly. And Peter too of course. Poor babies.